Think of the glass panels throughout your work space. Aren't they a little boring? There is an easy way to upgrade your office with products from Solar Art. Cost effective, durable and sleek, our custom graphic films look great wherever you want them. Solar Art designs, develops and applies these films, from frosted glass to images or patterns of your choosing. Our capabilities offer you your own unique space and character for office anywhere in Orange County, CA. We can apply many different, complex images with custom colors to your office or conference room glass. Any images you can imagine, we can make. Every one of our cut graphics and digital prints are made in-house and are installed by our professional team. From start to finish, we provide our customers with award-winning customer service. Corporate headquarters, reception areas, meeting rooms or wherever there's a glass wall or surface is ideal for custom graphic films. We offer a wide selection of options to make this project your own. From new retrofits to stock patterns, these graphics are great for getting privacy or bringing in a design element anywhere you want. 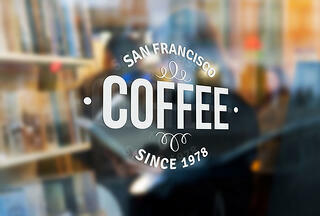 Logos - Tell your clients who you are. We can cut your company's logo with the decorative film to build your brand recognition. Distraction Dots - Occasionally glass is a little too clean. Distraction dots come in different sizes and patterns to avoid accidents in the office. 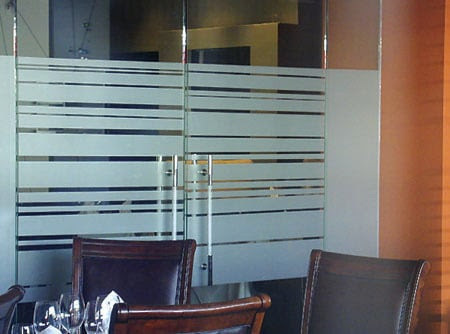 Privacy - Textured or opaque window film is perfect for adding an element of privacy to your space. Customize the entrance, offices and meeting rooms throughout your office. Graphics and patterns placed throughout your office keep the decor modern while serving a practical purpose. Learn more today with a free estimate from Solar Art.